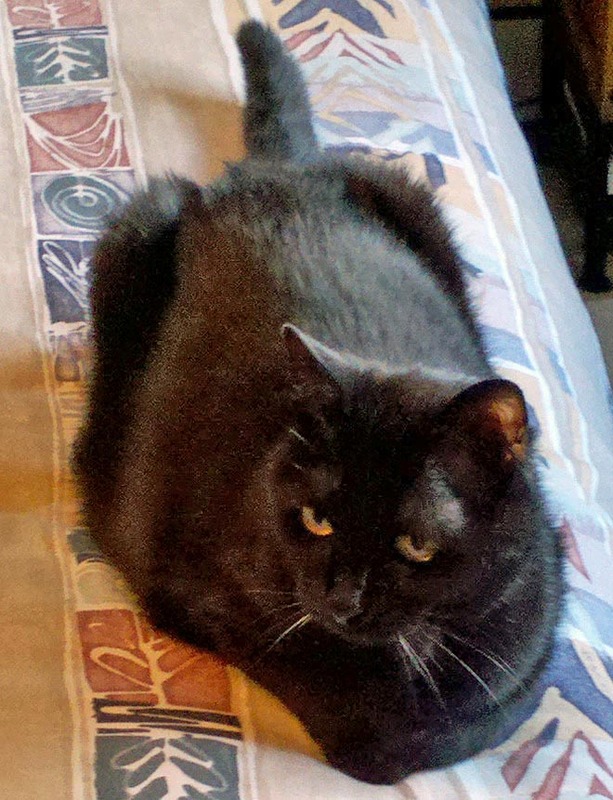 RoseBud is a black cat whose support of humans makes her very special; in reality she has supported several elderly souls in their illnesses and eventual passing. My Moms were asked to pet sit her through the lost of her last Mom and care for her. When it became time and she needed a home she chose ours (with the help of an animal communicator). She moved in Halloween 2007. RoseBud is 15 years old, and is very set in her ways. She has a lot to teach us with an incredible story of her own. 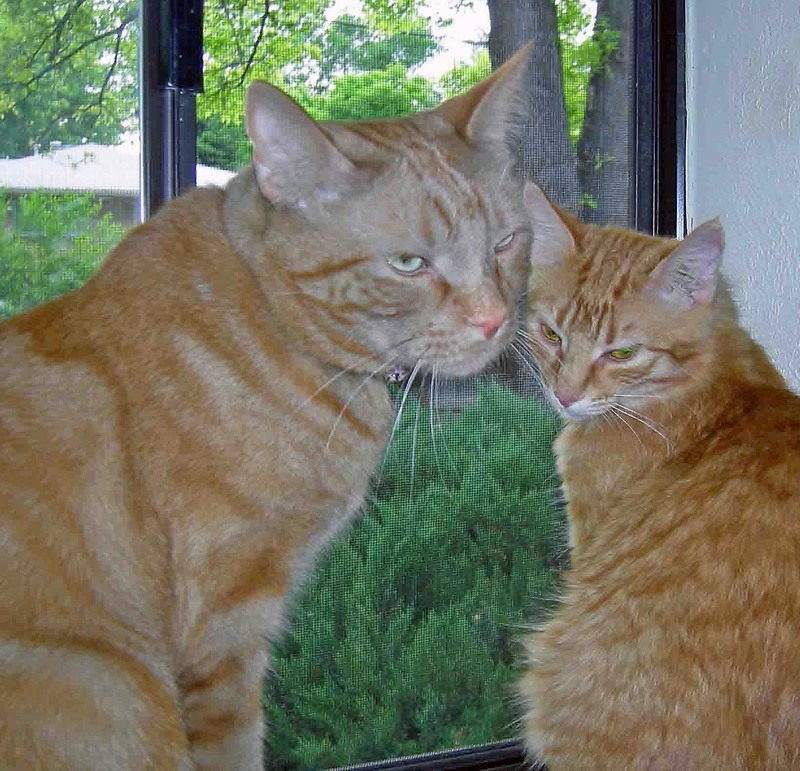 Brother Miller (who passed away April 13, 2013, a few days past my 15th birthday) and his biological sister (who lives high in the Rocky Mountains with an adoptive family), were young kittens when a caring human found them living near a dumpster at the corner of Miller and Colfax Streets in Lakewood, CO. Their mom had lost her life that day at the busy intersection. The human took them to Angels With Paws, a kitty cat shelter in Lakewood, CO. Miller had a high fever, so the shelter director, one of my moms, rushed him to Harrison Memorial Animal Hospital in Denver, where he received a blood transfusion and was fed through a syringe. He spent two weeks in the hospital isolation ward because he had a deadly disease called feline distemper [panleukopenia]. His chance of surviving was slim to none. Then we fostered him in our home for six weeks. He lived in his crate because he wasn’t supposed to exercise much, and we kept him isolated from the rest of us because his immune system wasn’t very good. 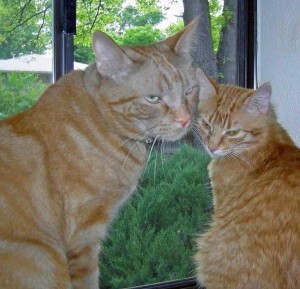 Miller lived to be 8 years old; he was a large orange tabby; one fine looking "dude" he always said of himself. He and his human grandma developed a special bond in her final years. Another longer story.